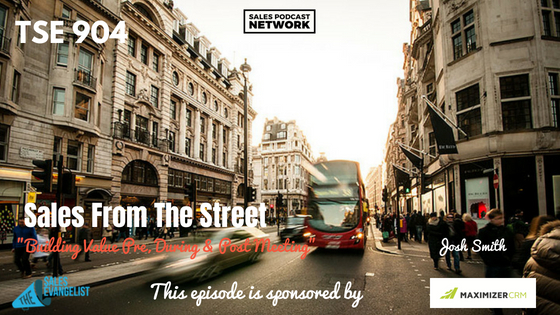 TSE 904: Sales From The Street-"Building Value Pre, During & Post Meeting"
We all understand the importance of building value for the prospect. It’s important to know, too, that it’s an ongoing process. We should focus on building value before, during, and after the meeting. On today’s episode of The Sales Evangelist, Josh Smith, author of How to Guarantee Qualified Sales Meetings With Real Decision Makers, explains why building value is such a massive part of the sales process, and why it must occur from the beginning to the end. Sales reps often begin with the very best intentions. Despite their plan to provide value, they find themselves quickly resorting to features, benefits, and pitching a product. Position yourself as an additional member of the team who gives them content and education, and who helps them overcome business challenges. Providing value builds trust and credibility. 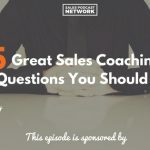 Josh said he likes to start with LinkedIn, and he sends them valuable content that helps them realize that he is different from other sellers. He focuses on content that is relevant and specific to the prospect. Where do you find this kind of content? Narrow down your prospect list to one industry. Determine a narrow audience that you want to hit with your messaging. Set up an account on Google Alerts and identify some keywords that I want to be notified of. Google will email me any time a relevant piece of content emerges. It’s automated, and I can send it straight to my prospect knowing that it will be relevant. Consider using Feedly as well. It’s a content aggregator that allows you to type in information about who you’re trying to reach and it will aggregate specific content that you know will be relevant to the prospect. Building value up front with relevant helpful information will help me build trust before I even tell them what I do. Do it for about 30 days. You can pitch them sooner than that if you want, but this is a consistent process that helps you develop qualified leads who trust you. The difficulty is that a lot of sellers have adopted this same approach to prospecting. The challenge, then, is to make sure that your information catches their attention. Pay attention to industry events that your prospects might attend. Look at the topics and the tracks that the industry is discussing to get a really good idea of the challenges facing the industry. It’s not a huge problem if you’re sending information that’s similar to what someone else is sending. As long as the content you send provides value that will help move them along with a challenge that they are facing, it will give you a way to start a dialogue. Additionally, if you’re really quick with Google Alerts, you might still send the content before others do. 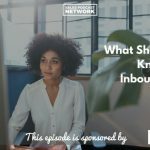 If you haven’t already asked them, find out what kind of content your customers in a given industry find valuable. Once you’ve identified that, you can start addressing those topics with your new prospects. Also, make sure to measure and optimize what you do. When you send content, track its effectiveness. Determine which content earned you responses and which didn’t. Your goal is to position what you do as more valuable than what others are doing. Create urgency around your solution. The more credible your urgency story is, the better it will be. When you first meet the prospects, set the expectations from the start rather than waiting until the back end. If you go all the way through your pitch before revealing that you’ve only got two spaces left, you lose some credibility. If you wait until the end of the pitch to say you can only offer this price today, you’ll lose credibility. Move everything that you traditionally do at the back end of the pitch to the front. It creates believable urgency. Ask hard questions. “Why haven’t you already found a solution to this problem?” You can provide a more valuable pitch by knowing the answers to the hard questions. Treat the person’s time with respect. By asking hard questions, you’re eliminating unnecessary information and providing the best solution for them the very first time. This is the most important part because it’s where conversions can happen. Offer a bit of free consultation after the meeting. Now that I understand the challenges they are facing, I can put together an overview of the meeting including some free suggestions that will help them move forward: 3 or 4 action steps. Do it within 24 hours, because very few people are doing this. Follow up with video. Josh’s conversions have doubled since he started following up with video. Send a video of you talking about the meeting and the expectations. Video allows them to see you and see your energy. “I just had a thought after our discussion of something we could do to help. Let’s talk next week.” It gets them back on the phone, and given that it takes an average of 12 touches to close a deal, that’s important. Wistia is a fantastic platform that helps you shoot video even if you aren’t a video editor. You record it, upload it, and then send it, and it’s completely free. It provides data about when they watched it and how long it played for so you’ll know how effective it was. Make value in your sales process. Be an honest advisor. Connect with Josh on LinkedIn or Instagram. Grab a copy of his book about how to generate qualified leads with decision-makers using LinkedIn. Pre-order your copy of How to Guarantee Qualified Sales Meetings With Real Decision Makers and start seeing immediate impact in your business. Check out Feedly to keep up with content that is important to you. It’s a free platform that gathers important stories that will help you build value for your prospect. Google Alerts allows you to set notifications for content that relates to your prospects. It will help you provide valuable content that helps your prospects manage challenges and solve problems. Today’s episode is brought to you by Maximizer CRM, a personalized CRM that gives you the confidence to improve your business and increase profits. Get rid of the boring CRMs and customize to your team’s selling abilities. Click on the link to get a free demo of what Maximizer CRM can do for you.